All my lucky clients get their very own personal Action Plan. An achievable list of the things they can DO to make their business run more smoothly. This week I have an Action Item for YOU! Do you communicate with your clients via email? Do you collect emails on your website, send studio updates or share with them reminders for their sessions? If so, when was the last time that you checked what those emails said? Has it been a while - perhaps a year or more - since you reviewed those messages and what they say to your clients? Maybe it’s time for a refresh. 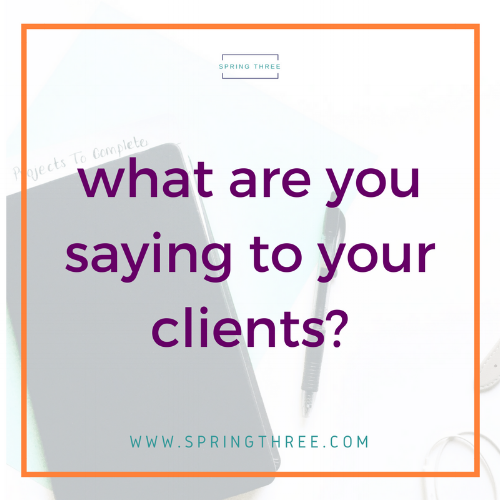 Maybe it's time to add your own tone to the message… or add a fun and interesting twist that makes your clients feel inspired and part of something special? This is your opportunity to stand out! These emails could be the beginning of a wonderful relationship. They are a touch-point with your business that must reflect who you are and what you are all about. Make them empowering, informative and inspiring. Make them so your clients feel excited to see you next! Sign up for your own emails. Is it everything you want for your clients? Do your emails reflect who you are and what you’re about? If so, then great!! If not, update them and personalize them. Most of all, make them YOURS!